Green and red traffic light men are getting company in Melbourne. The silhouette figures are set to be joined by a figure in a dress, as part of a gender equality campaign in the city. The move has sparked criticism in Australia, with some dismissing the equality drive as implying that women can not wear trousers too. Ten female traffic light figures have been installed in the Melbourne City Centre. 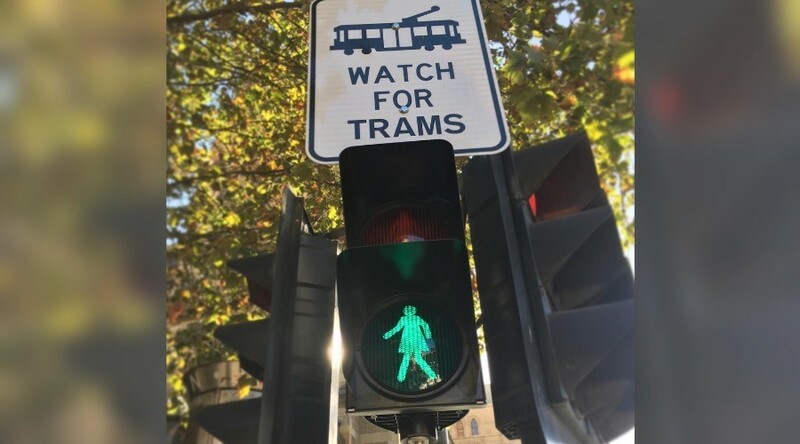 “The idea is to install traffic lights with female representation, as well as male representation, to help reduce unconscious bias,” Martine Letts, chief executive of the Committee of Melbourne, the non-profit behind the initiative, explained. Letts claims that the aim of the initiative is to move towards a “one-to-one” male and female representation across the state of Victoria. However, the female silhouette has caused some to question whether the well-intentioned move to gender equality is, in fact, a little sexist. @jodilee_7@7NewsMelbourne Isn't it sexist to have women in dressers? Many women also wear trousers, #Sexism? Others have taken the lady lights as a sign of political correctness gone mad. Some tweets also asked if there were better ways to spend the money in order to promote equality, including tackling issues like female homelessness. Female pedestrian crossing figures.... The world has officially gone mad. The lights have been funded by the Committee for Melbourne and Camlex Electrical, the ABC reports. It costs an average of AU$8,400 to change six sets of lights.